Robinson, one of the game's most feared sluggers and a fierce competitor, starred in both of baseball's major leagues. He later became baseball's first African-American manager. 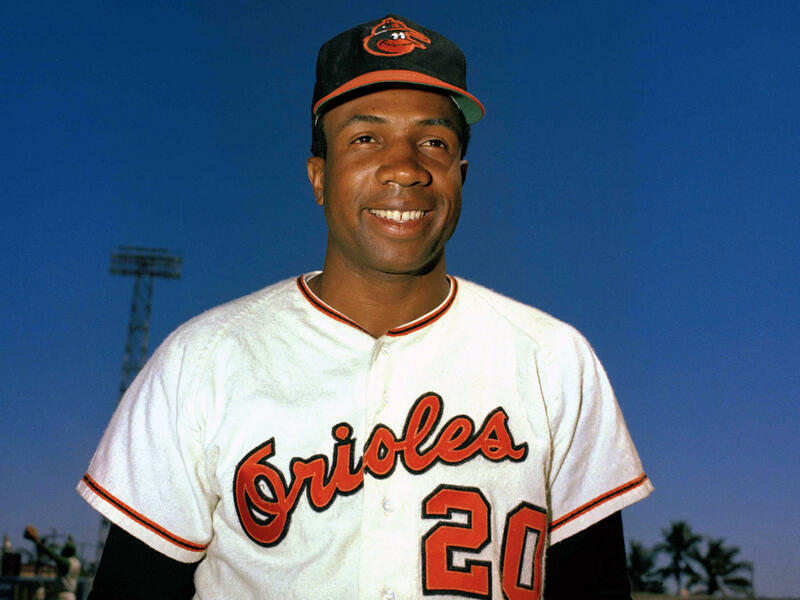 "Frank Robinson's resume in our game is without parallel, a trailblazer in every sense, whose impact spanned generations," Commissioner Rob Manfred said in a statement. "He was one of the greatest players in the history of our game, but that was just the beginning of a multifaceted baseball career." Robinson broke into the majors in 1956 as a hot hitter and graceful fielder with the National League's Cincinnati Reds. He was the NL Most Valuable Player in 1961, the same year the Reds won the league pennant. But by 1965, despite hitting 33 home runs and driving in 113 runs, the team's management considered him old and expendable. Robinson responded to that judgment with a vengeance: In 1966, the year after he was traded to the American League's Baltimore Orioles, he led the team to a World Series victory while winning the Triple Crown and the Most Valuable Player awards. "Frank took us from being a good team in 1965 to being a great team in 1966," Hall of Fame pitcher Jim Palmer told the Baltimore Sun. "I'm glad Cincinnati thought he was 'an old 30' when they traded him." ESPN's Tim Kurkjian writes that "Robinson is one of the most underrated superstar players ever to play the game." "With that 1966 season, Robinson became the first — and remains the only — player to win the MVP in both leagues. He also finished third in the MVP voting twice, fourth twice and in the top 10 a total of 10 times. He made 13 All-Star teams. He won National League Rookie of the Year in 1956, hitting .290 with 38 home runs at age 20 for the Reds. And while he never led his league in a Triple Crown category other than in 1966 when he managed it in all three, he led his league in slugging percentage, OPS and OPS+ four times, including three years in a row (1960-62). And he led his league in runs scored three times, in being hit by pitches seven times and in intentional walks four times." Robinson also worked for the game off the field as a consultant, and then executive, with the commissioner's office. "When asked by a fan how he would pitch to Frank Robinson, All-Star pitcher Jim Bouton replied, 'Reluctantly.' "
The Cleveland Indians unveiled a statue honoring Frank Robinson, Hall of Famer and the Major League's first black manager, this weekend.